A new radio station for the area was opened on Monday night, broadcasting worldwide through the internet. 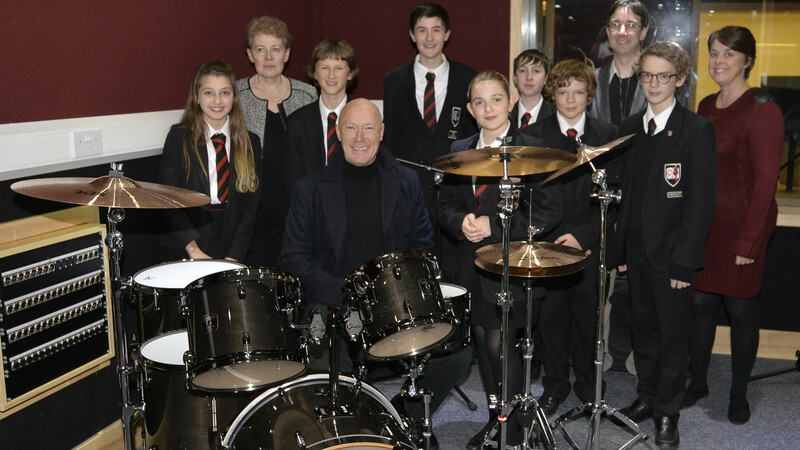 Radio Woking was launched at its new home in The Winston Churchill School to a well-supported event with guests including the Mayor of Woking Cllr Anne Roberts and Woking legend Rick Buckler, drummer from The Jam. Radio stations are not a new thing for The Winston Churchill School. Radio Woking replaces school station Yay Radio, which the school has been successfully running for the past couple of years. Radio Woking however will not only host the schools very talented student presenters, but also people from the community in the evenings and at weekends. 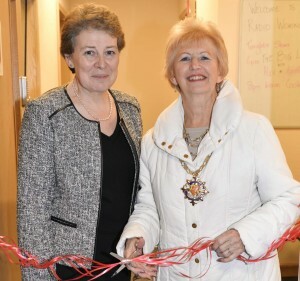 Mayor Cllr Anne Roberts and the schools new Headmistress Zoe Johnson-Walker cut the ribbon officially opening the new facility. 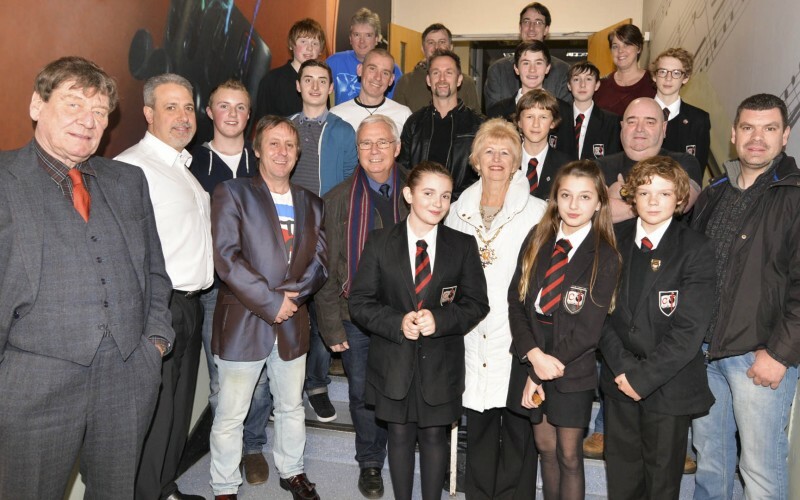 Presenters Alex Woods and Keith Woodhouse launched the station on-air to applause from guests crowded into the schools lecture room. Radio Woking has many different programmes throughout the week, and provides an alternative to mainstream radio, with much more local based content and specialist music programmes. You can find local bands, guests interviewed from groups in the Woking community, local theatre and shows, and music from Mod & Ska, to the latest rock and pop.